We know that it is possible to track particles labelled with positron emitters using a conventional PET scanner. 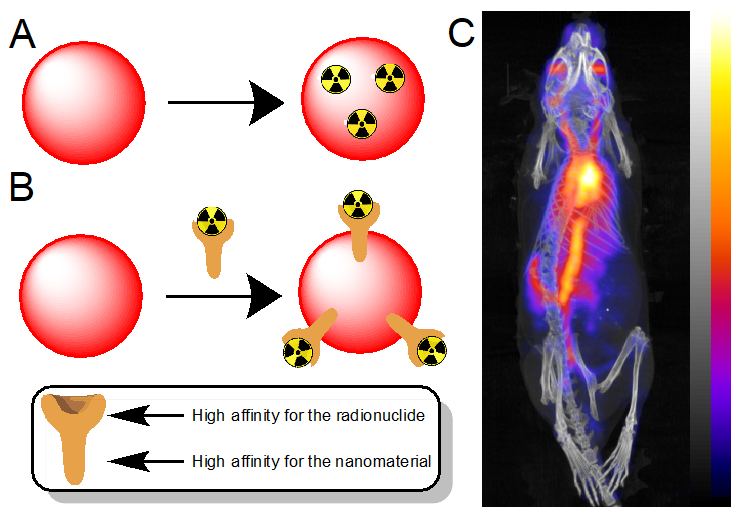 Standard radionuclide imaging involves imaging the distribution of a radiotracer in the body whereas in particle tracking a single particle labelled with a large number of radioactive nuclei would be injected into the body (eg into the bloodstream) and tracked dynamically. Tracking of positron emitting particles has previously been used in numerous industrial applications in order to measure flow distributions or investigate how materials mix. A group at Birmingham University, in a wide variety of industrial applications, has demonstrated that it is possible to track (single) positron emitting particles with acceptable spatial and temporal resolution to obtain fluid velocity maps with particles travelling at speeds up to 1 ms-1 with activity of the order of 100kBq. A simple triangulation technique is used to perform the tracking1. Some limited cell tracking measurements have been performed at Stanford with orders of magnitude lower activities albeit to track over much longer timescales2. The practicality of in-vivo particle tracking, with initial applications being to measure blood flow related information, depends crucially on the availability of very high-specific activity radiolabelled nano-particles , such as have uniquely been developed by Rafa Torres at KCL4. 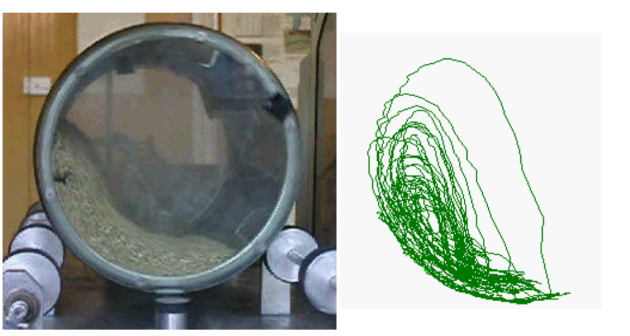 Limited preliminary work on the imaging aspects has been performed at KCL via two students projects demonstrating i) the combination of minimum acquisition time and minimum activity required in order to image an active bead using the nanoPET scanner and ii) a simple Monte-Carlo simulation of a positron emitting point source moving along a straight line demonstrated the qualitative relationships between activity, sampling rate, spatial resolution, velocity measurement accuracy. Figure 1. Schematic representation of radiolabelling approaches for nano/microparticles. (A) Direct labelling - exploiting the intrinsic affinity of the radionuclide and the nanomaterial; (B) Indirect labelling - using bifunctional chelators, and represetantion of a bifucntional chelator (inset). (C) PET-CT image of a mouse with a long-circulationg 89Zr-liposome nanoparticle. This technique has not been used previously to any significant extent in biomedicine and the feasibility of potential clinical applications depend on the accuracy with which measurements can be made. Given the published experience of, notably, the Birmingham group it is very unlikely that the technique will not work to some degree in a small animal model, certainly for particles labelled with positron emitters. The question is how accurately can measurements of eg blood velocity, be made, and that is the goal of this project. If the suitable tracers can be developed then potential clinical applications include measuring properties of blood flow in the presence of stenosis and in tumours, and potentially in cell tracking. Whilst it may be possible to accurately simulate and predict how particle tracking might perform in a human, it is unlikely that human studies will be performed in this PhD project, primarily due to the need to obtain the necessary regulatory approvals for administering radiolabelled nanoparticles. BMEIS is very well placed in terms of facilities and expertise to perform translational studies when that point is reached. 1. Parker DJ. Nucl Instr Meth Phys Res Sec A. 1993; 326:592±607.